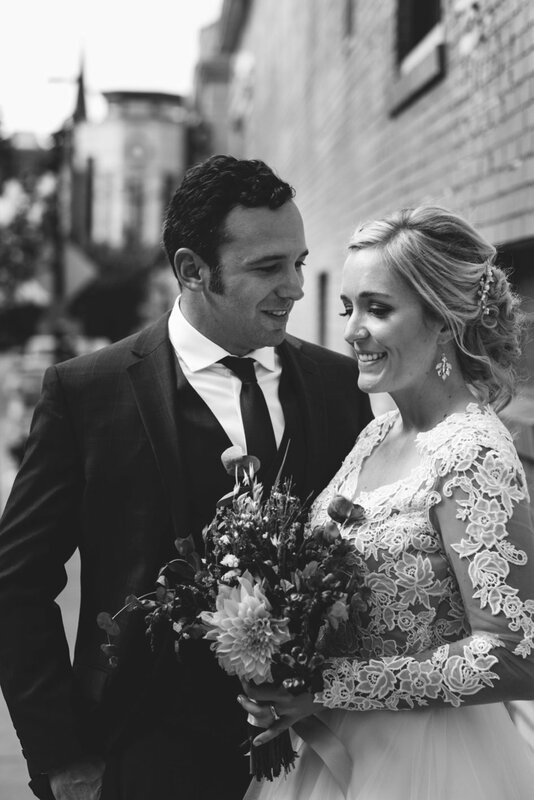 After a ten-mile hike in southern Chile, Andrew asked Emily to be his wife, and what followed was a beautiful wedding that reflected their love of adventure. 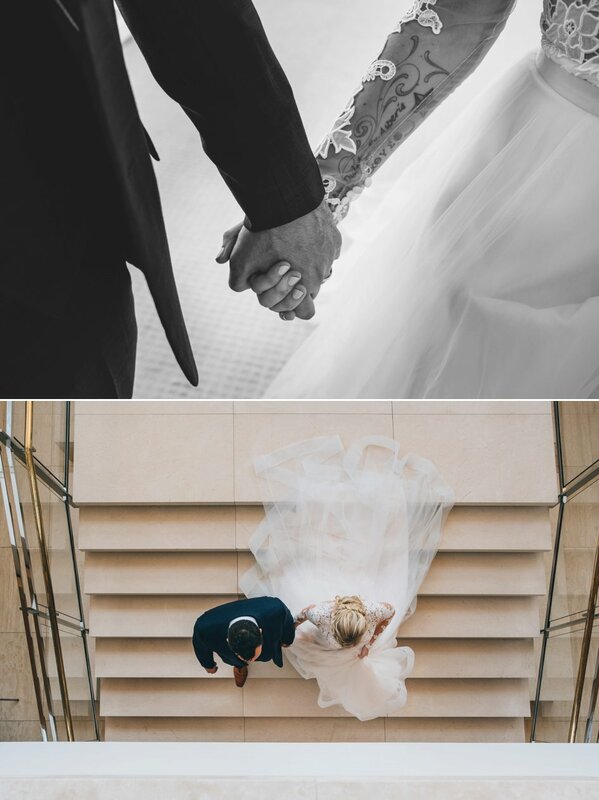 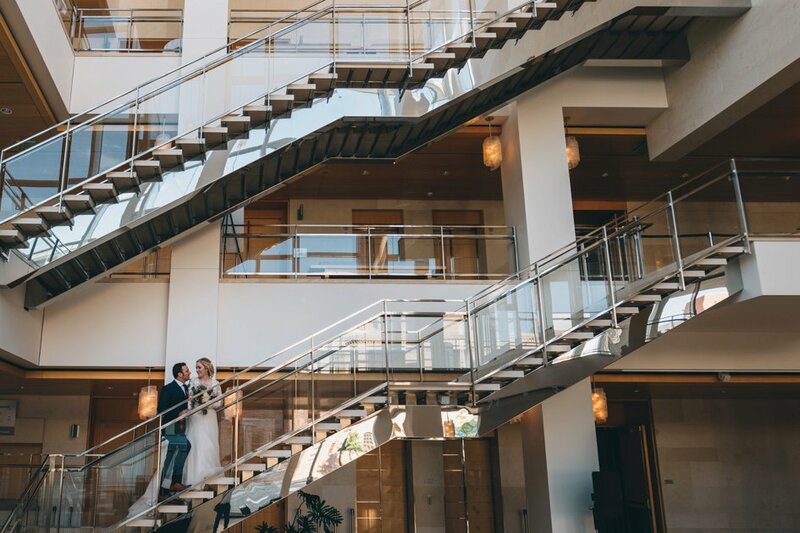 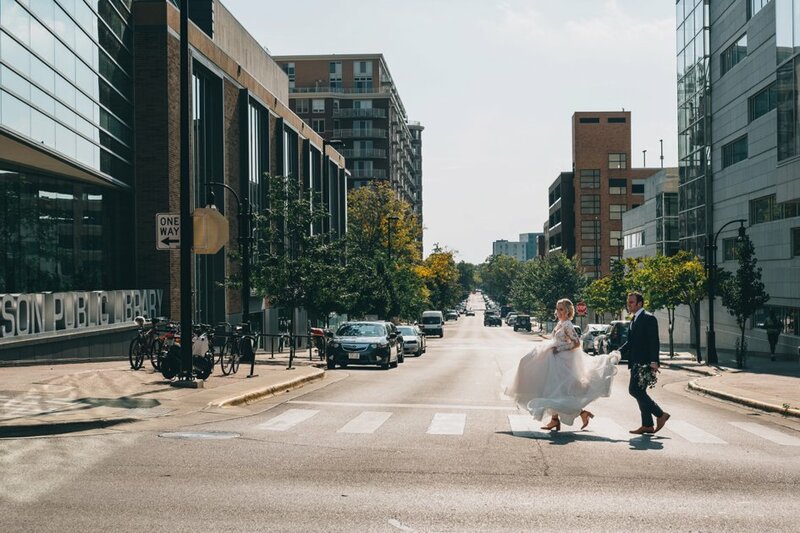 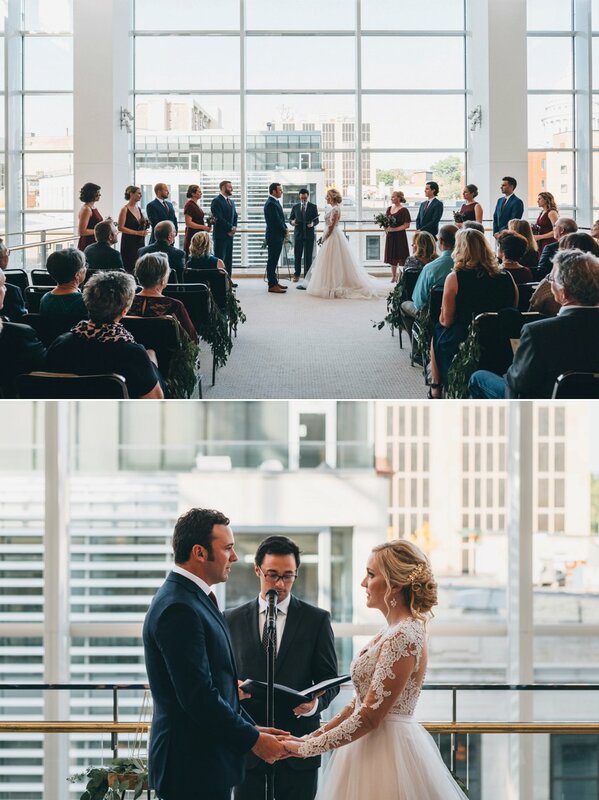 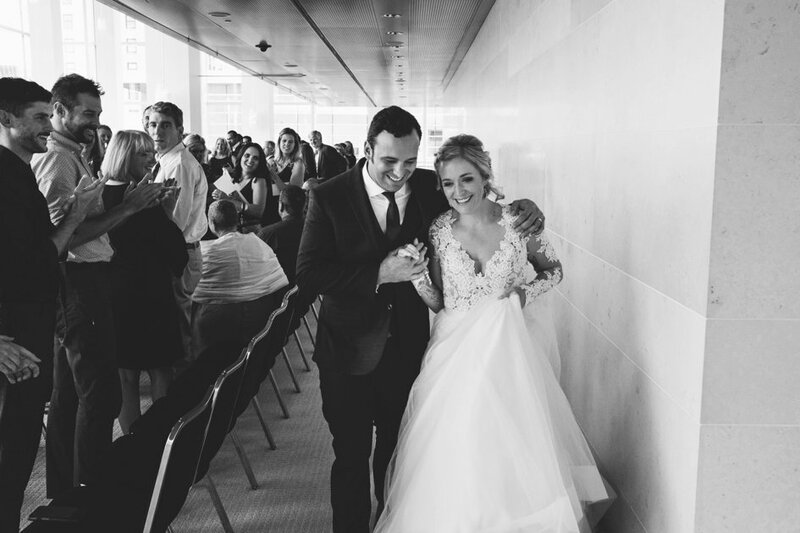 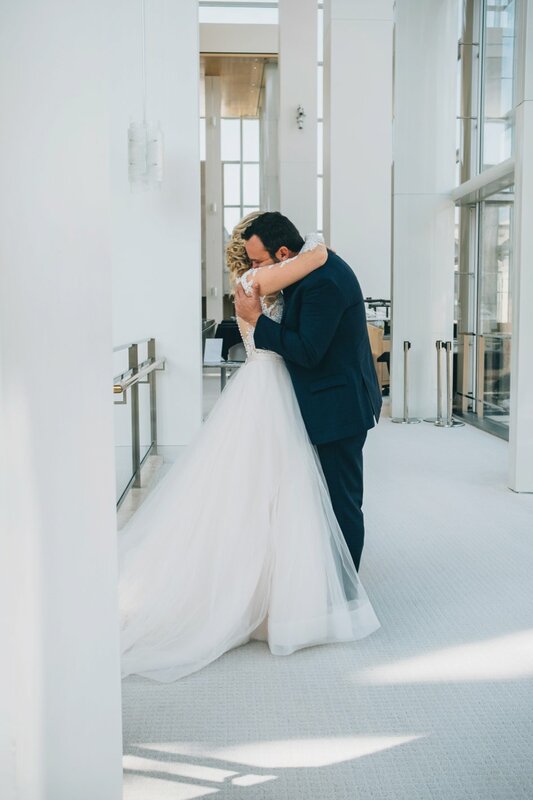 Set at the Overture Center for the Arts, this couple’s “I do’s” overlooked the heart of downtown Madison. 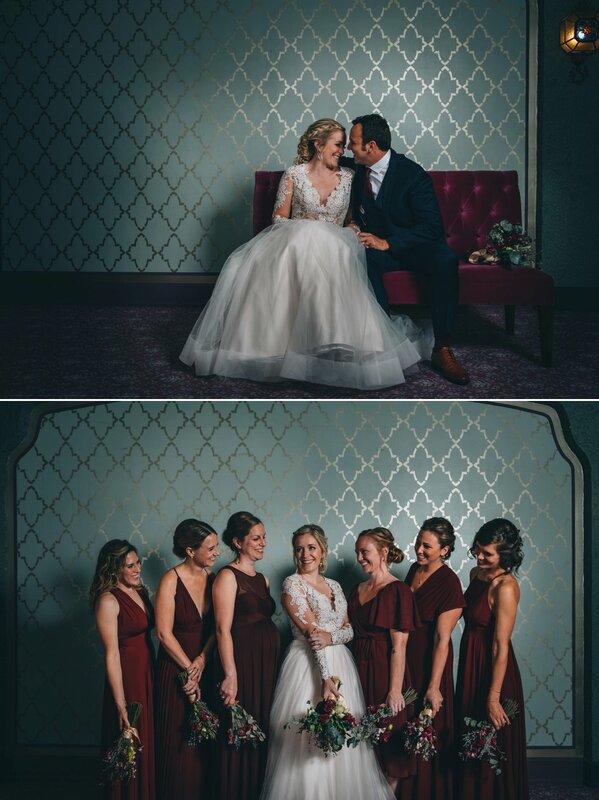 The venue featured clean lines and bright light for a modern look, while the warm reds and greens in the decor and florals added a classic touch. 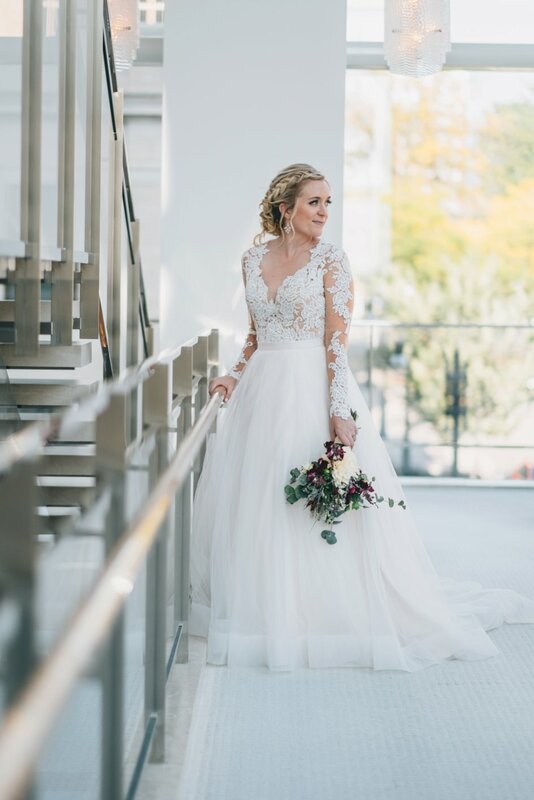 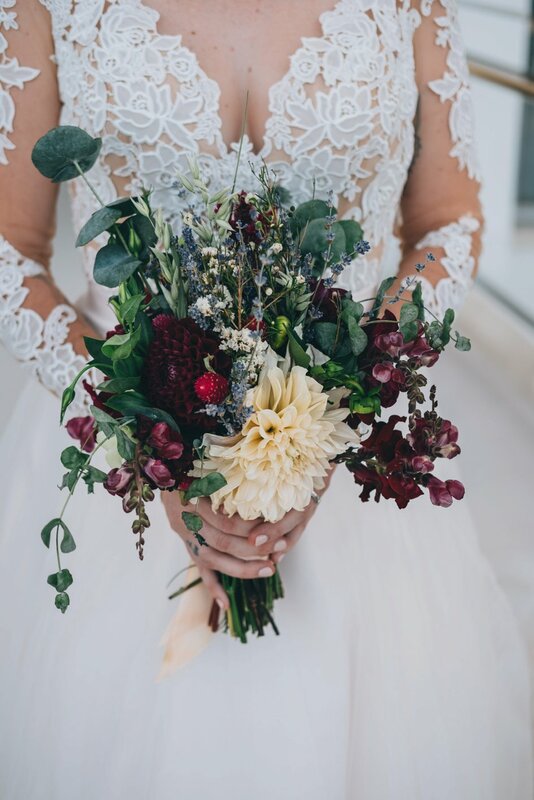 Emily’s gown had long, romantic lace sleeves and a full skirt. 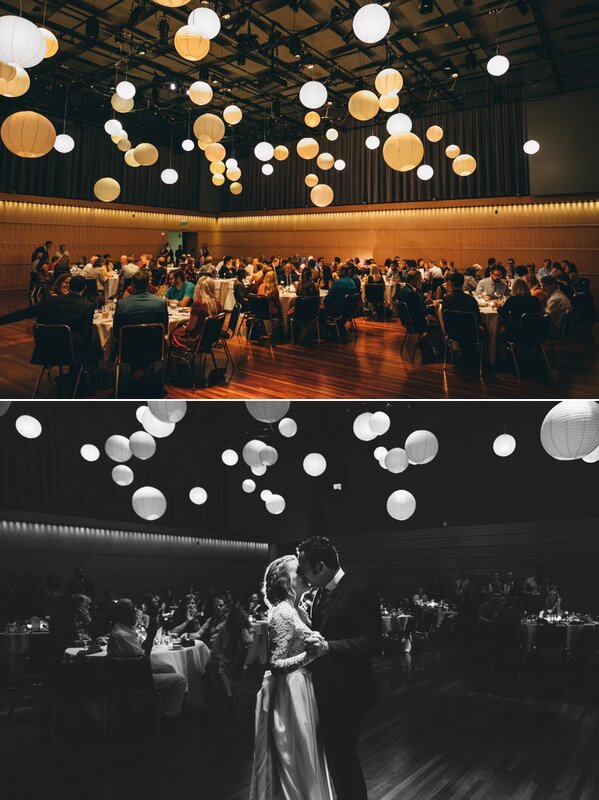 After the ceremony, guests dined under large paper globes that hung from the ceiling. 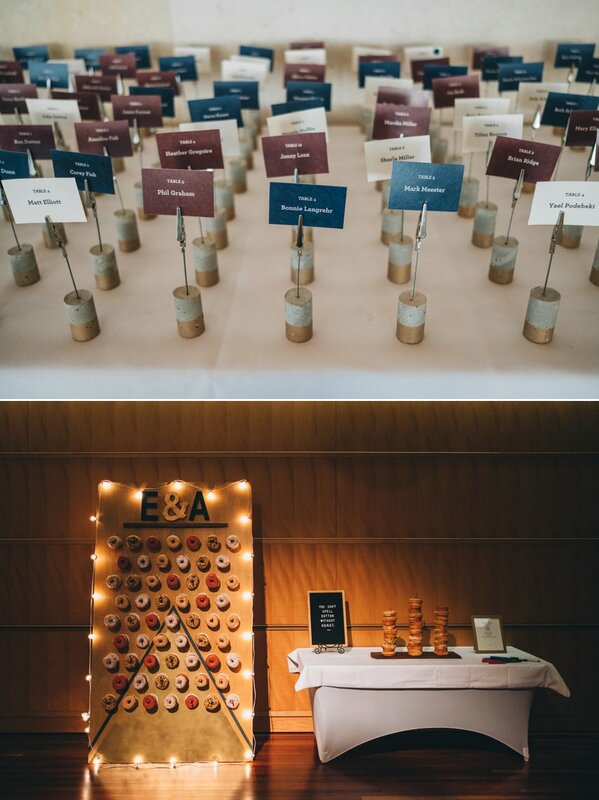 A wooden stand (handmade by the bride and groom) featured stacks of delicious donuts for dessert. 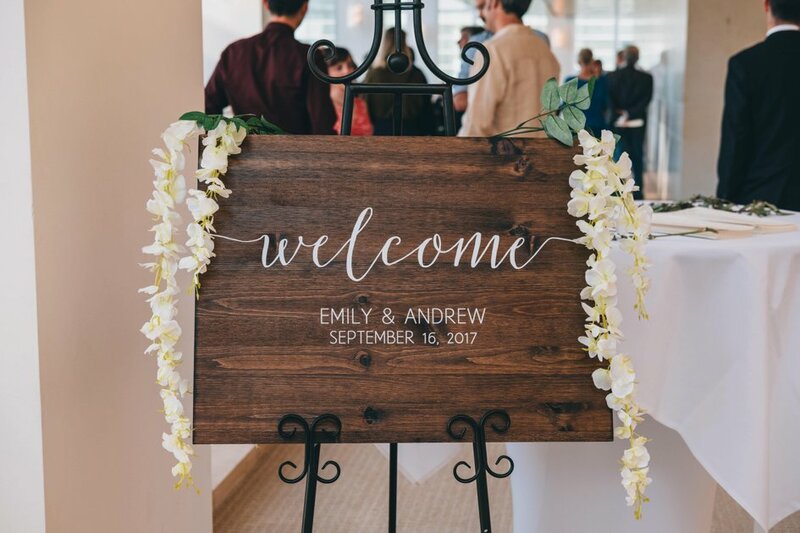 The couples' touch was spotted in several decorations - including the cork place card holders and floral centerpieces. 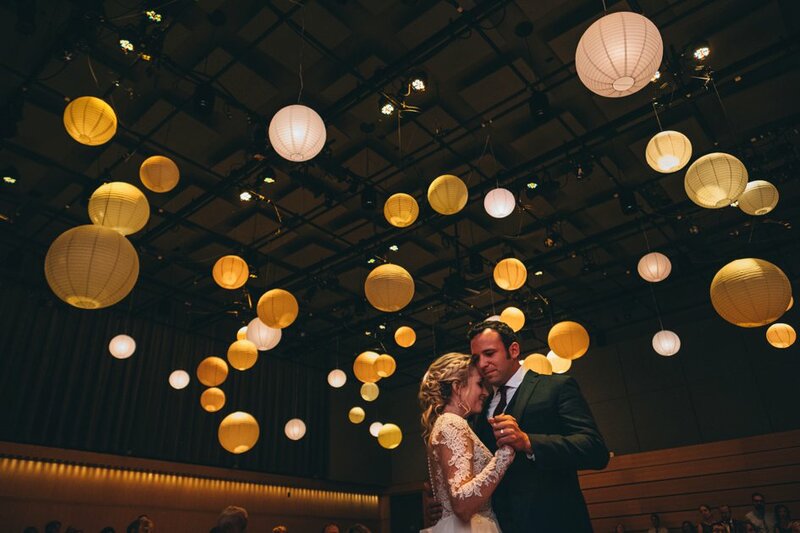 With no wedding planner, friends and family played a large role in helping create this contemporary celebration!